This is a post which should really not need to be written - its quite easy to imagine a world in which it had never existed. Yet, without fail, this time each year brings out writers constrained by ideological contrariness to belittle and besmirch one of the most beloved festive stories ever told. Are they simply trying to get on the naughty list or do they genuinely believe what they have written? 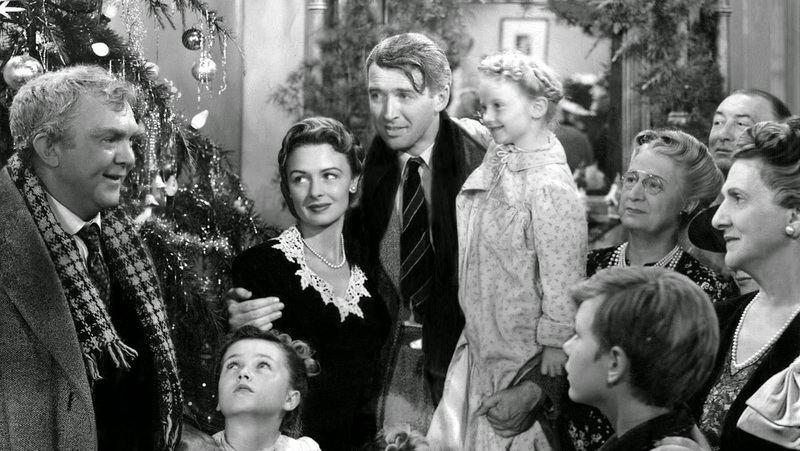 I refer, of course, to the critical kicking that It's A Wonderful Life receives on an annual basis from primarily pseudo-leftist writers who believe themselves too big or clever to "fall" for the sentimental charm of Frank Capra's timeless classic. These posts are, for the most part, intellectually disingenuous, emotionally cowardly and, more than anything, just plain wrong. The most confusing aspects relating to much of the criticism flung Capra's way is how such a powerfully simple message can so often get so misconstrued. 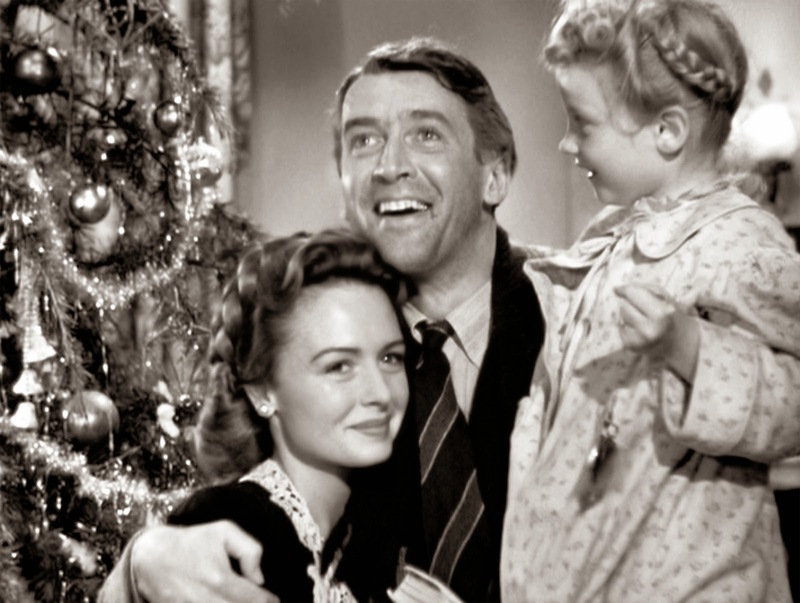 For those who have not seen the movie, the tale concerns a decent small-town man named George Bailey (James Stewart) who lives his life with immovable values; his dreams of exploring the world are continually put on hold as he sacrifices his own happiness for the good of those around him. 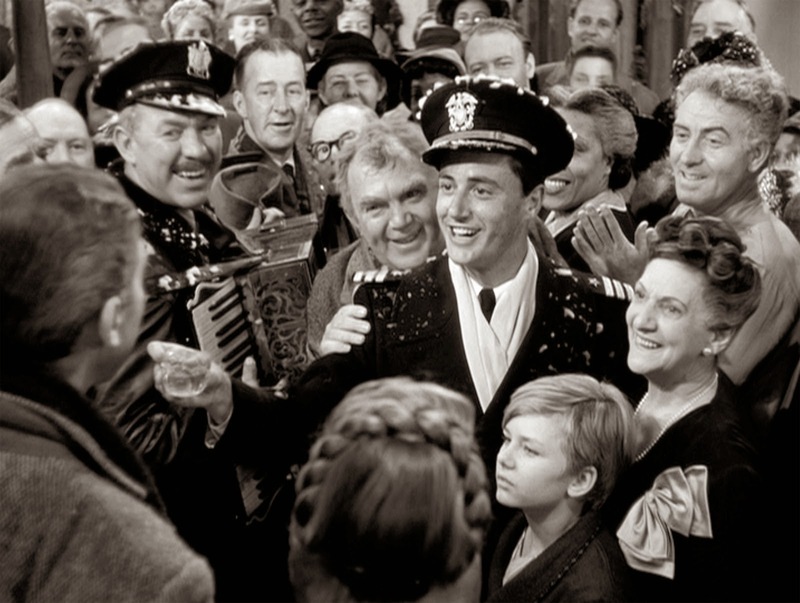 Bailey provides the moral centre for Bedford Falls - a man who, in a number of ways, has touched the lives of everyone he meets - and is the antithesis of the evil Mr. Potter: a businessman who seeks profit above all else, regardless of the misery he spreads. When Potter finds himself in a situation in which he is able to steal a large sum of money from Bailey's philanthropic business, the young man is devastated as he faces scandal, bankruptcy and, worse, the knowledge he has let down those he cares about. 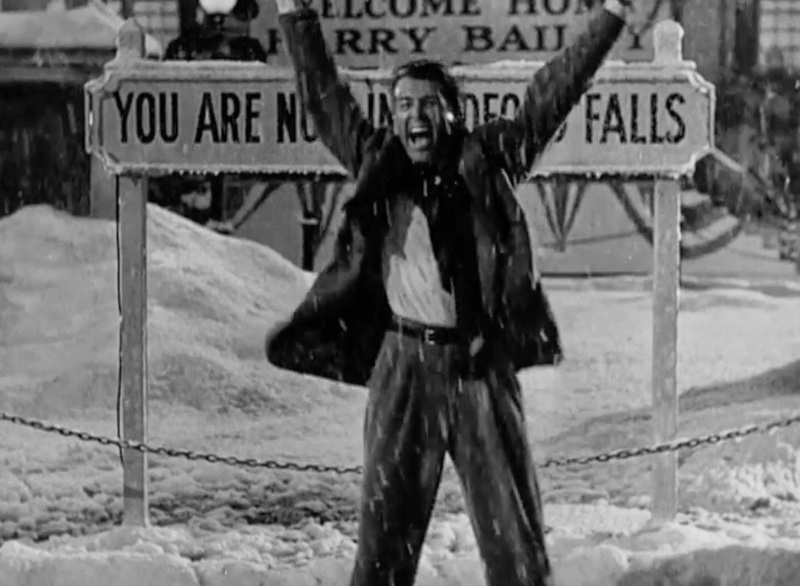 As our hero contemplates suicide, an angel enters his life to show him what Bedford Falls would have looked like had he not existed - its clear to see that the entire community was better off with Bailey around. His mere existence has brought light to where there was darkness, hope and joy to where there would be none. Bailey is invigorated by his experience - he understands the value of his life, his worth to those around him, and realises his lifelong dreams of exploring the world ultimately meant very little in the grander scheme of things. Bailey can see that he needn't travel the Earth to find meaning or excitement - love, and being loved, are the greatest adventures known to man and the riches of kinship outweigh all others. The message is simple and clear - money and power are not the things we should cherish most in life. Kindness, selflessness and altruism need not be signs of surrender either - as a man wiser than I once said: "You give a little love and it all comes back to you". Those suggesting that George Bailey just begrudgingly accepted his lot, and resigned himself to a life he attempted to escape, have decided to ignore the entire heart and soul of this wonderful fable. "No man is a failure who has friends" reads a Christmas card Bailey receives - isn't the realisation that your very being is cherished by all you have met a reason to celebrate? The rictus grin that clasps Stewart's face as he is rescued from dire straits by a towns-full of well-wishers is not one of a defeated man; the lesson Bailey has learned is that, as he holds his wife and children close to him, his life's greatest adventure is already in his arms. What joy, what splendour! One of the main criticisms of It's A Wonderful Life comes from people strung up on Potter ending the film with Bailey's $8'000. These critiques seem to have missed the simple point of the movie entirely - indeed, a victory for the businessman can only be understood if you view the world through the prism of capitalism, of avarice. To see Potter as the victor is to see the world through his eyes, a world in which fiscal wealth is the sole value of the man. As Bailey basks in a glow of communal love, Potter remains bitter, cold and alone. He many have more money than he can ever spend, but Potter will never have the riches Bailey does - returning the money to Bailey's company would do nothing to add to George's wonderful life. Indeed, it is Potter's hollow victory which makes the film so prescient. Whilst bankers may have stolen money from the poor across the world, and capitalism grinds on, these men of greed and corruption have undoubtedly won the battle for controlling our wealth. Yet, where there is love and brotherhood, laughter and affinity, evil will never truly prosper. Our hearts will not allow it. It is the meanings we attach to our own lives that make them worthwhile - and if one is to measure the value of success through what one owns or one does not, then life shall forever be miserable. Yet, if we clasp tight to us the ones we cherish and understand there is no truer beauty than having the look of love returned through someone else's gaze, we can all live together in a wonderful life.